This Schlage AL53JD-SAT-626 is a large format interchangeable core entrance function lever lock set. The interchangeable core lock set allows for immediate rekeying of the door, by simply using the special control key to replace the core in seconds. (Core is not included). 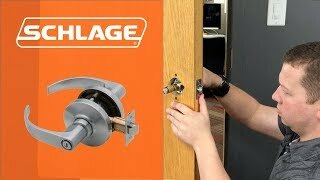 This quality lock is under a three year limited warranty from Schlage. 1" bitted cylinders are supplied with two key blanks that are uncut. They can be keyed locally to an existing key system. Construction cores and S123 cores are supplied with two operating keys per core and one control key per order. The construction cores are keyed to a common key and should not be used for permanent security. Temporary Construction Cores are not subject to our standard return policy and Cannot be Returned.